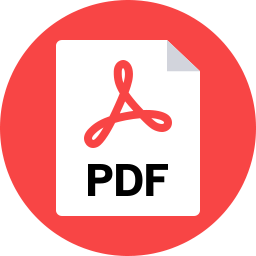 The November midterm election results in the U.S. House of Representatives were a clear rejection of President Trump’s tax and economic policies that favor the wealthy and corporations over working families. Republican candidates for Congress ran hard on tax issues – either accusing their Democratic opponents of favoring tax increases or, less frequently, supporting the Trump-GOP tax law – but they lost their majority in the House to many candidates who ran against the tax cuts and their potential threats to services like Medicare, Medicaid and Social Security. One-third of all GOP TV ads in 2018 were about tax issues in general—the most of any issue (healthcare was second at 25%). Just 12% of GOP ads were about the Trump-GOP tax law. 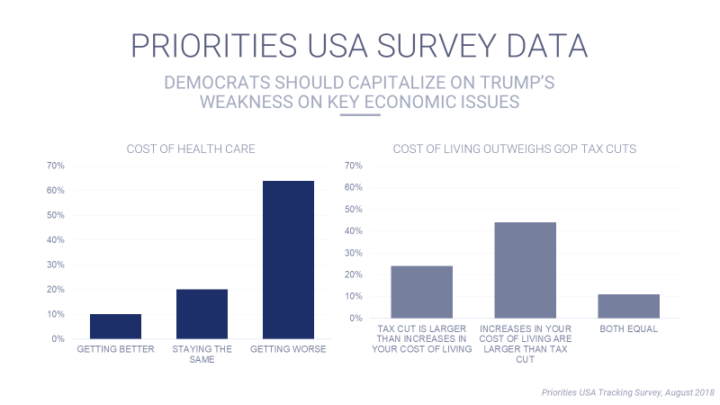 52% of Democratic ads were about health care; general tax issues were second at 16% and 7% on the Trump-GOP tax law. The outcome of key races where taxes and the tax cut law were factors demonstrate that the 2018 election has put to rest the belief that promising voters tax cuts works as a winning campaign message. It should close the book on the typical and tired GOP strategy that tax cuts favoring the wealthy and well-connected will trickle down to working families and the middle class. The threat the tax cuts pose to funding key services like Social Security, Medicare and Medicaid was a far more potent and effective message than the promise of lower taxes or threats of a tax increase. 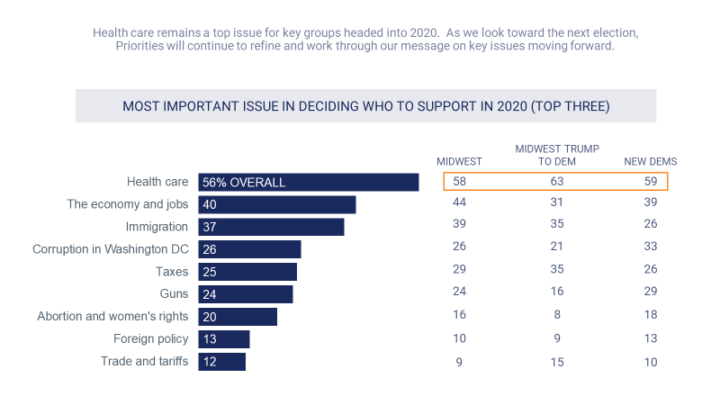 Tax issues were the second most heavily TV-advertised issue in federal races in 2018 – and the top issue in ads purchased by GOP candidates, according to data from the Wesleyan Media Project and analyzed by ATF. 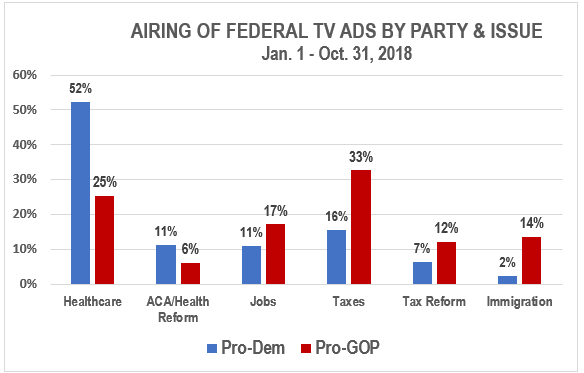 Tax issues were 23% of all TV ads and 33% of all GOP TV ads from Jan. 1 through Oct. 31, 2018. [See chart below] Healthcare was the subject of 40% of all TV ads. But the Trump-GOP tax cut law itself was largely removed as an issue from campaign ads and messaging by Republican candidates. It was the subject of only 9% of all TV ads and 12% of all GOP TV ads, demonstrating that tax cuts have lost their potency as an issue. Health care was mentioned in 52% of Democratic TV ads, highlighting GOP plans to cut Medicare and Medicaid, repeal the Affordable Care Act, eliminate coverage for preexisting conditions and spike health costs through the so-called “age tax,” which makes insurance premiums more expensive for the elderly—issues that are tied to the vote on the tax cut law. 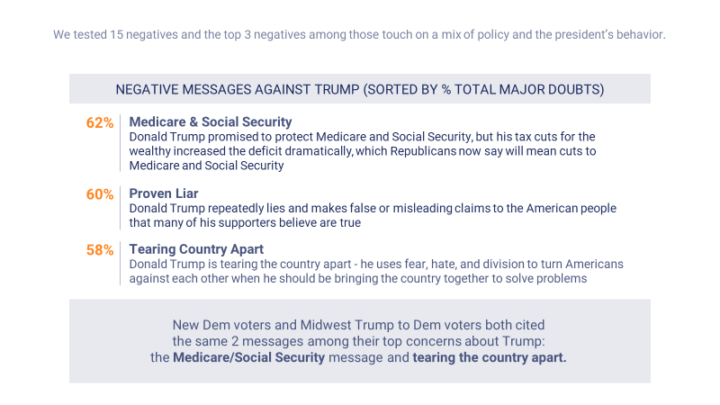 Source: Data from Wesleyan Media Project analyzed by Americans for Tax Fairness and available at: https://bit.ly/2JN7umI. Note: there is overlap in the data between “healthcare” and “ACA/Health Reform” and “tax” and “tax reform” issues so these categories are not cumulative. In mid-October, just 40% of voters approved of the tax law based on an average of all polls maintained by Real Clear Politics. An October Gallup poll found that 64% of Americans said they had received no increase in their paychecks from the tax cuts as President Trump had promised. The 2018 election exit poll found that just 28% of Americans said the Republican tax cuts benefitted them, while 45% said they had no effect. 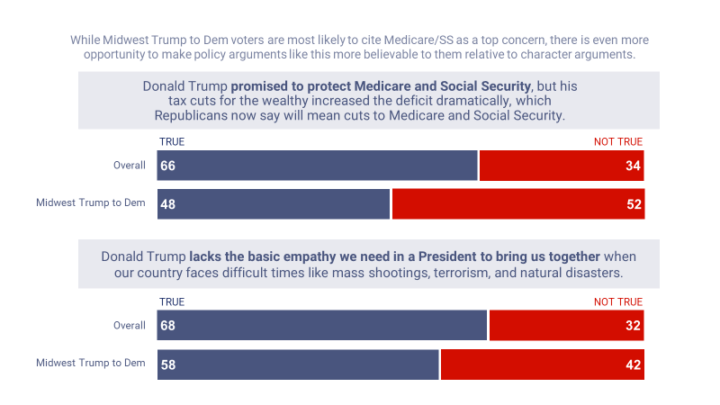 An NPR/PBS News Hour/Marist poll in October found that 45% of adults said the issue of tax cuts made them more likely to vote for Democrats, while only 39% said it would make them likely to vote for Republicans. A Morning Consult poll in September showed that around 50% of voters didn’t trust President Trump or Republicans in Congress to implement a tax policy that benefited them. Numerous other races around the country found the tax message—either promising tax cuts or accusing their opponents of wanting to raise taxes—ineffective with voters. These include Reps. Mike Coffman (CO-06), Tom MacArthur (NJ-03), Steve Knight (CA-25) and Claudia Tenney (NY-22), all defeated. 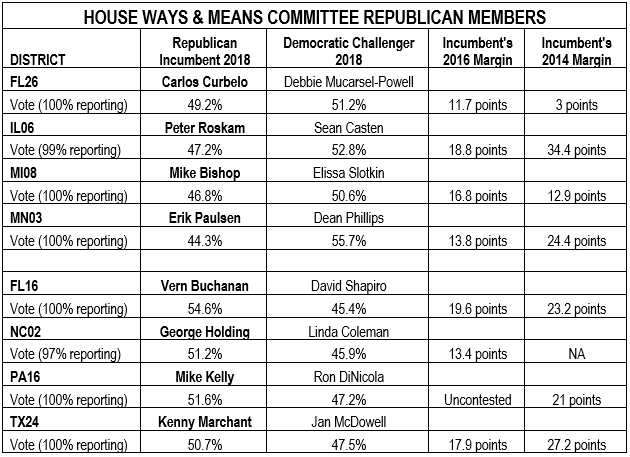 Others likely to fall in too-close-to-call races are Reps. Mimi Walters (CA-45) and Mia Love (UT-04). “Post Election Research—What We’ve Done So Far” conducted by Global Strategy Group and Garin Hart Yang Research Group. 1,016 nationwide online interviews and 1,200 online interviews across Wisconsin, Michigan, Ohio, and Pennsylvania between November 9-11, 2018.